The PC-12 NG (Next Generation) is a multimission aircraft intended for surveillance, search and rescue (SAR), command and control, personnel transport, medical evacuation medevac and cargo transport missions, Image courtesy of Pilatus Aircraft. The Spectre is a special mission variant of the PC-12 NG single-engine turboprop aircraft. Image courtesy of Pilatus Aircraft. The PC-12 NG variants are operated by air forces and federal, state and local law enforcement agencies. Image courtesy of Pilatus Aircraft. 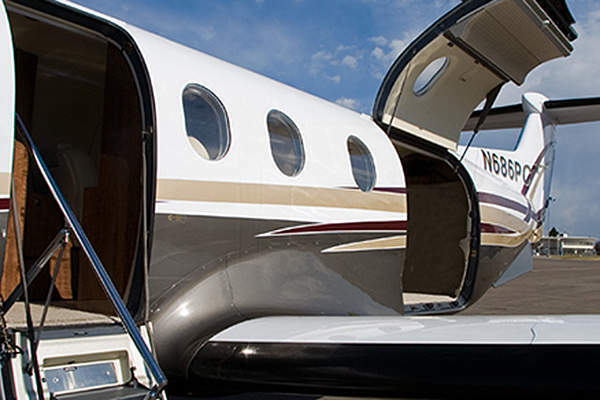 The PC-12 NG aircraft features a forward passenger door and a large cargo door. Image courtesy of Pilatus Aircraft. PC-12 NG (Next Generation) is a multimission aircraft manufactured by Pilatus Aircraft. 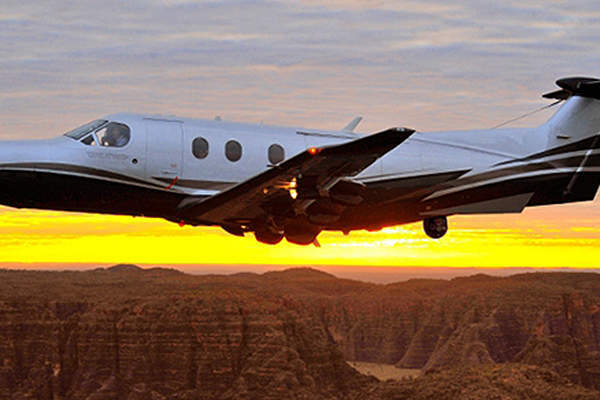 It is an upgraded variant of the PC-12 single-engine turboprop passenger and cargo aircraft. 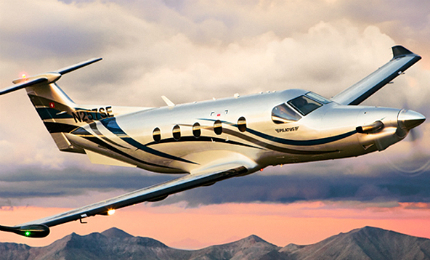 The PC-12 NG is equipped with more powerful engines and state-of-the-art avionics and systems. The PC-12 NG was announced by Pilatus at the National Business Aviation Association (NBAA) 2006 convention held in Orlando. It was officially launched in September 2007 during the NBAA 2007. The PC-12 aircraft are currently in service with the US and other armed forces, as well as government agencies. The federal, state and local law enforcement agencies operating PC-12 aircraft include the Argentine National Gendarmerie, Western Australia Police, Northern Territory Police of Australia, Ontario Provincial Police, Royal Canadian Mounted Police, US Customs & Border Protection – Office of Air & Marine, Phoenix Police Department and Texas Department of Public Safety. "The PC-12 aircraft are currently in service with the US and other armed forces, as well as government agencies." PC-12 NG can be configured for surveillance, search and rescue (SAR), command and control, personnel transport, medical evacuation (MEDEVAC) and cargo transport applications. The PC-12 NG Spectre is a special mission platform equipped with long-range EO/IR cameras and sensors to conduct SAR, border surveillance and drug enforcement operations. The PC-12 NG standard passenger transport configuration offers nine utility passenger seats. The seats can be removed to reconfigure the aircraft for medevac, utility and cargo transport missions. 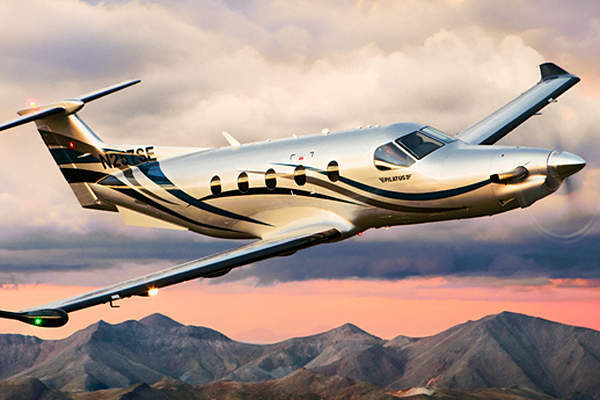 The advanced aerodynamic airframe of PC-12 NG integrates a more powerful single turboprop engine. The aircraft features strengthened fuselage for challenging environments. The design also incorporates modified winglets. The aircraft measures 14.4m in length and 4.2m in height. The wing span of the PC-12 NG is 16.28m. The aircraft has a maximum take-off weight of 4,740kg. The standard variant can carry a payload of 1,209kg. The PC-12 NG features an advanced glass cockpit accommodating a pilot and co-pilot. Certified for single-pilot operations, the aircraft is equipped with a Honeywell Primus Apex avionics suite integrating two primary flight displays (PFDs), two multifunction displays (MFDs), interactive navigation (INAV), traffic collision avoidance system (TCAS) and other aircraft systems. "The PC-12 NG was announced by Pilatus at the National Business Aviation Association (NBAA) 2006 convention held in Orlando." The Honeywell SmartView synthetic vision system in the cockpit improves safety and situational awareness by showing the 3D terrain-rendering on the PFD. It also provides information on obstacles to enhance the situational awareness in all stages of flight. The PC-12 NG Spectre is equipped with tail-cone mounted electro-optical/infrared (EO/IR) sensors suite integrating retractable sensor lift platform, operator’s console, inflatable restraint system for operator’s seat and associated systems. The sensor deployment can be manoeuvred by the pilot and sensor imagery is showed on the cockpit MFDs. 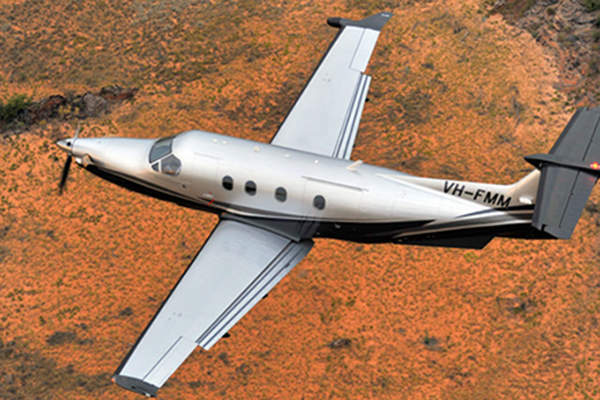 The PC-12 NG aircraft features a spacious and pressurised cabin. The left side of the fuselage is provided with a standard forward passenger door and a large cargo door for loading/off-loading of palletised cargo. The cabin can carry over 1,200kg of payload. The cabin can be quickly reconfigured to house passenger, cargo or combination layout, and ISR or SAR platform. The aircraft can be even modified to accommodate two patients, medical crews and life-saving equipment. The PC-12 NG aircraft is powered by a Pratt & Whitney Canada PT6A-67P turboprop engine driving a Hartzell four-bladed aluminium propeller. The engine develops a maximum power output of 1,200shp. The aircraft is fitted with retractable try-cycle type trailing link landing gear. The landing gear allows the operations on grass and unimproved airstrips. The PC-12 NG can fly at a maximum altitude of 9,144m. The aircraft can climb at a rate of 585m/min. It has a maximum cruise speed of 519km/h. The maximum range of the aircraft is 2,889km. The PC-12 NG can stay airborne for more than eight hours at standard fuel capacity. The aircraft is also equipped with ice detection and protection systems for operations in icy conditions. The F406 is a light turboprop aircraft produced by GECI Aviation (formerly Reims Aviation Industries), a subsidiary of GECI International. 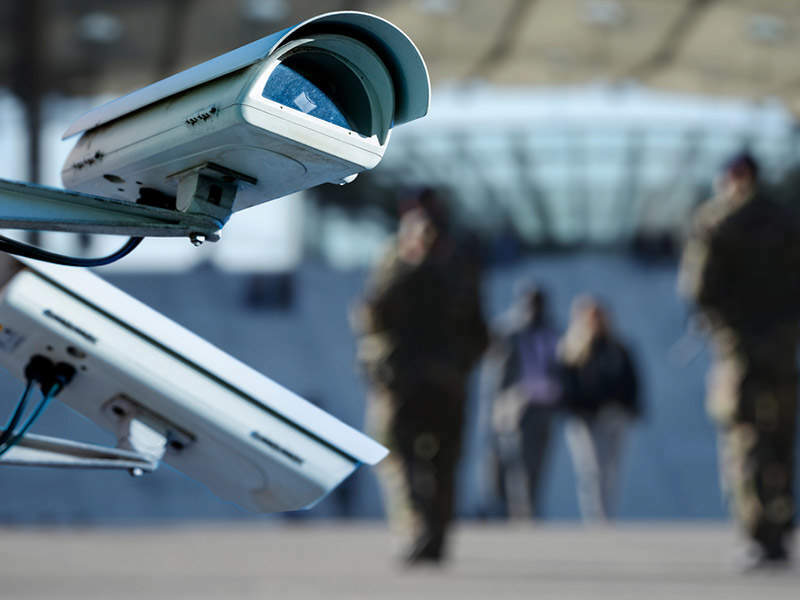 Patroller-S is a long endurance, surveillance unmanned aircraft system (UAS), jointly developed by Sagem and Germany-based aircraft manufacturer Stemme.